For nearly 20 years, consumers haven’t been willing to pay for new music. They’re not going into music stores for it, and when they discover it online, it has all the excitement of dragging and dropping a gallon of milk onto their online grocery order. The physical element of new music discovery has been sucked out of the process. Something tactile and emotional is sorely missing. On the flip side, if you’re an independent music creator, you’re in a constant struggle with obscurity, with little hope for major label support. But Adam Ritchie Brand Direction knew there’s a place music-loving consumers still go to get something they want, and they go there almost every weekend to discover something new on the shelf: the beer store. The agency was tasked with earning exposure for a forthcoming album from The Lights Out, a band of pandimensional travelers. Each song on the album was a report back from an alternative universe. Adam Ritchie Brand Direction approached Aeronaut Brewing Co. – a brewery founded by scientists from Cornell and MIT – and brought them onboard to brew a beer inspired by the songs and theme of the record. 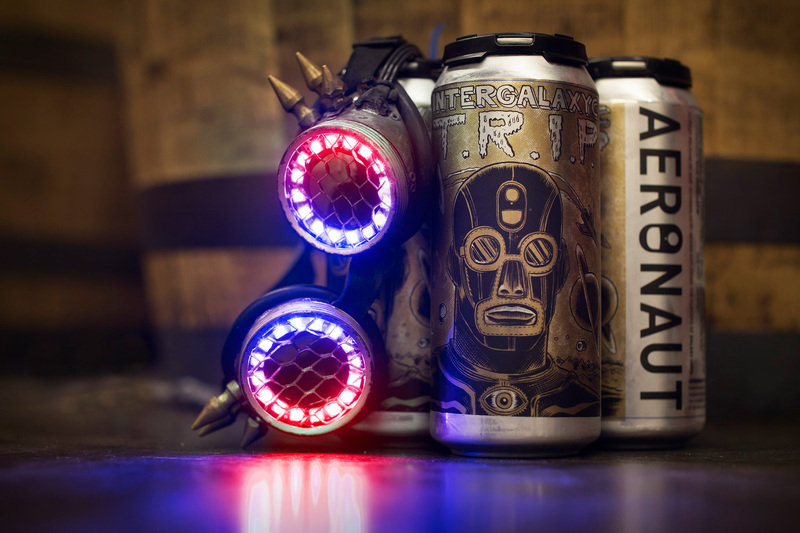 Aeronaut passionately approached it like a science project, developing a beer that could serve as fuel for a pandimensional traveler. Sounds and flavors were paired in a new kind of product that offered a full sensory experience. The agency used back-end technology on the band’s Twitter account, so each time the social media trigger on the label was posted by a consumer, the consumer would receive a message back, telling them what they were doing right now in a parallel universe, and a link to the album. T.R.I.P., the world’s first album release beer, was born. Adam Ritchie Brand direction designed a campaign spanning food, beverage, beer, culture, lifestyle, business, technology, design, science and visual arts media. It prepared a series of announcements to roll out over the course of the campaign, from live interactive events, to a National Beer Can Appreciation Day news peg. It turned out they needed all of these touchpoints. The album was released on 11/12 – right in the middle of three holiday vacations, a contentious presidential election, fallout and protests in the wake of the inauguration and Super Bowl – possibly the nosiest, densest, most challenging launch climate in recent memory. The campaign earned exposure for this project on MarketWatch, ADWEEK, UPROXX, Paste Magazine, Food & Wine, Men’s Journal, The A.V. Club and more – and reactively earned coverage as far away as Russia, Finland and Thailand. Reporters excitedly posted pictures to social media of the beer can albums the agency sent them. Craft beer and music fans ran to the beer shelves and posted images of themselves hoisting the beer/album in the air. The product quickly sold out. In its “T.R.I.P. Through The Multiverse” campaign, Adam Ritchie Brand Direction invented a viable answer to a problem plaguing an industry for decades, put physical discovery back on the table for music consumers starving for a more tangible relationship with their music and used technology to solve a problem technology initially created.